This Statistics tutorial will help you learn statistics from the basics and pursue multiple job opportunities including data science that need proficiency in statistics. Through this Statistics tutorial you will understand various aspects of statistics, probability, probability distribution, sampling, Analysis of Variance (ANOVA), boxplots, charts, bar graphs and more. Learn Statistics from Intellipaat Statistics training and excel in your career. There is no day in your life when you do not consider using probability and statistics. Choosing between two options, making predictions, learning weather forecast, creating hypotheses are all important aspects of probability. Our daily routines revolve around probability, and statistics is the next significant discipline that governs and determines much of our probable results. Probability and statistics are related yet independent fields. While statistics is all about analysis, it uses probability distributions and theories to make any data calculations and present it via graphs, charts, pictographs. The two disciplines are learned together to receive meaningful and relevant output in a business. They can serve many purposes from analyzing huge volumes of data, organizing it to present it in the simplest graphical manner. 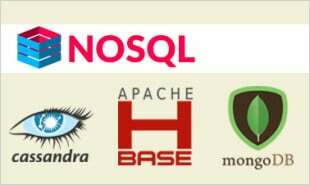 Whether you belong to the field of Data Science, Big data Analysis, Business Intelligence, learning statistics and probability can be of great help to improve business performance, handle and exhibit the data available and apply various logical algorithms, functions and methods on that data. In this tutorial, we will cover a range of topics that are going to refurbish your mathematics, statistics and probability knowledge from school and college times. Further, individuals and statisticians who are willing to enhance The topics include descriptive statistics that will describe varying data through various distributions. You will also get familiar with grouped frequencies, graphical descriptions, probability distributions of discrete and continuous variables, The Normal Distribute (most important of all distributions) and Sampling and Combination of variables. 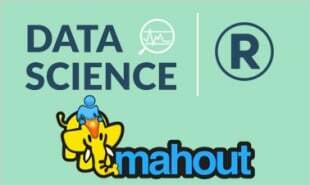 Looking for Top Jobs in Data Science ? This blog post gives you all the information you need! Most topics here contain explanations relating to mathematical interest to keep up your attention and concentration towards learning. As we say, science, technology and mathematics are directly proportional to practice and practical implementation, each topic in this learning reference is thoroughly explained using real-time examples, which are easy-to-comprehend and memorize. After learning through this tutorial, you can also enroll for our standalone Statistics and Probability training course and combo training courses with Data Science. These courses are excellently descriptive and provide deeper insights into significant topics, which can be implemented in real-time projects in your organization. Become Statistics and Probability Certified in 16 hrs. Learn more about SAS in this insightful blog now ! "2 Responses on Statistics and Probability Tutorial – Learn Statistics and Probability from Experts"
Good tutorial..thank you so much. keep up the good work. Never thought prob can be that simple. 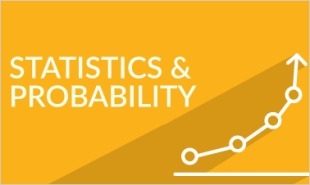 thanks for sharing such a informative material..
Sign Up or Login to view the Free Statistics and Probability Tutorial – Learn Statistics and Probability from Experts.